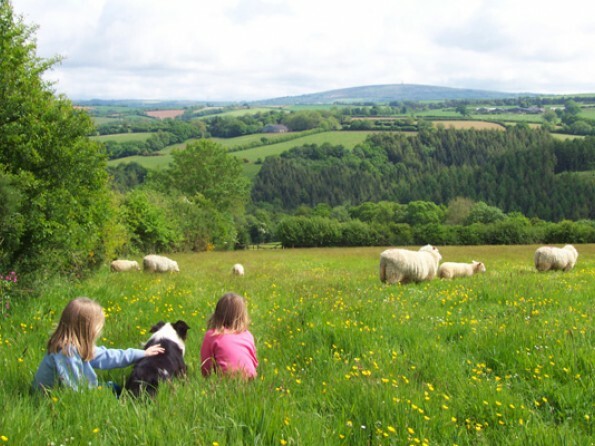 Listen to larks and watch buzzards wheeling in the sky over an idyllic working farm while you ramble over the fields and let your children get happily muddy playing in streams or building camps in ancient oak woodland. This is paradise for anyone who loves wild flowers, birds and peace and quiet. This sensitively renovated barn is superbly equipped while still maintaining the atmosphere of an ancient stone farm building. 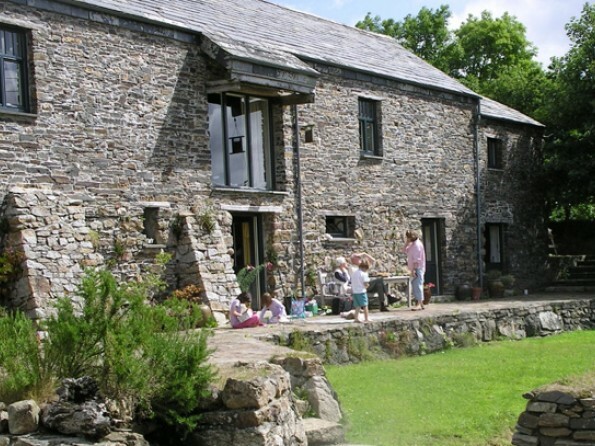 The old slate floors, massive beams and exposed roof timbers add charm and character (the barn was actually awarded a commendation by the Cornish Buildings Group). 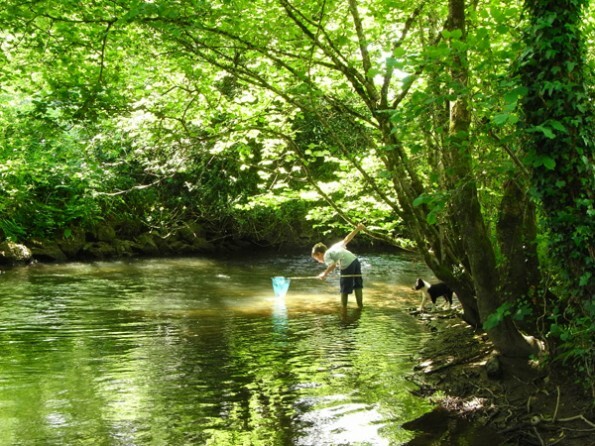 The River Inny flows right past the farmland, and this is perfect not just for children to play in but also for keen fishermen to catch trout and salmon in. There are also several other popular fishing spots in the neighbourhood. 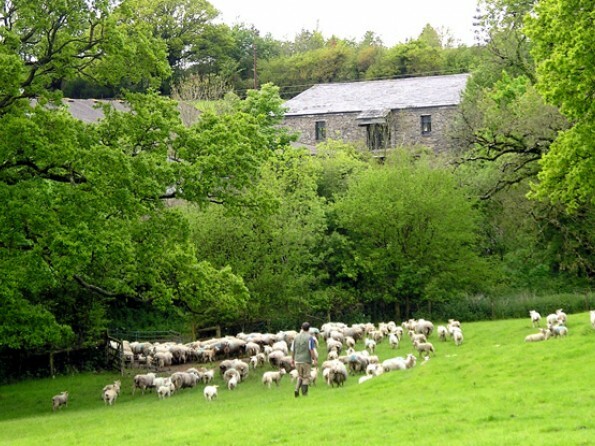 There is a huge amount to do around the farm itself, but if you can manage to drag everyone away, this is a wonderful part of the world with much to explore. Within an hour’s drive you will find the Tamar Valley Area of Outstanding Natural Beauty, the Moors of Bodmin and Dartmoor, the beaches of the North and South coasts, several National Trust properties, the Eden Project, beautiful gardens, riding schools, and opportunities for paintballing, go-karting, climbing, canoeing, windsurfing, sailing and micro-lighting, to name but a few! On the ground floor, where cows, pigs and hens were housed, there are four double bedrooms and two bathrooms. Two of the bedrooms have double beds, one has twin beds and one has two sets of bunk beds, allowing a total of 10 to be accommodated. 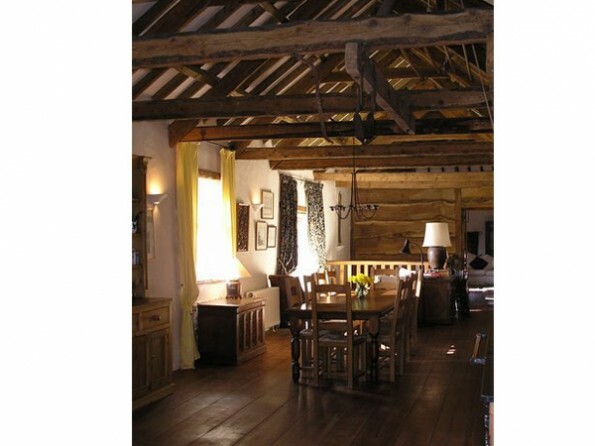 Upstairs, in the old threshing barn, there is a lovely spacious living/ dining/kitchen area approximately 50 feet long. 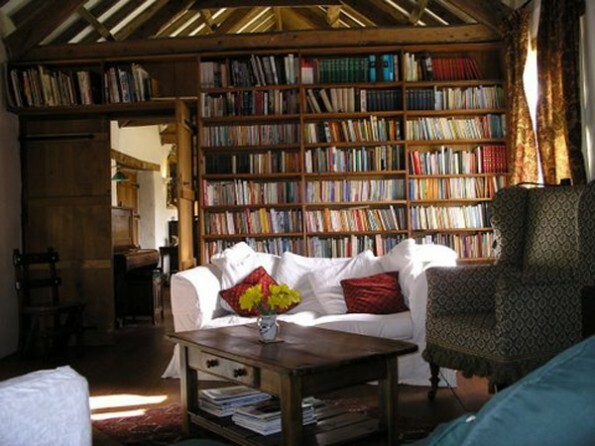 At the other end of the barn is a comfortable sitting-room with a large wood-burning stove and one wall lined entirely with books. Also at this level is a small extension housing a utility area and a third bathroom, which has a shower designed for the disabled. Each bedroom has a stable-door which opens out onto a south-facing stone terrace below. The terrace comprises a lawn bordered by a small stream and a pond, with a low stone wall separating this area from the farmyard. The living area has double doors at one end which open onto steps leading down to a paved area for barbecuing and eating al-fresco, with a sheltered orchard just behind. 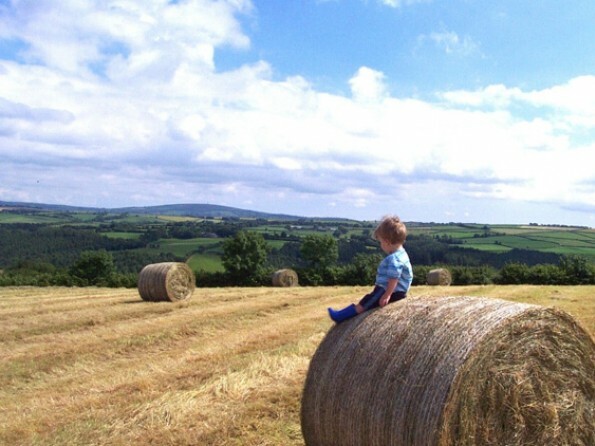 The farm is heaven for children, with safe fields to romp in, streams to build dams in, tractors and trailer rides, a trampoline and sandpit, and friendly dogs to play with. 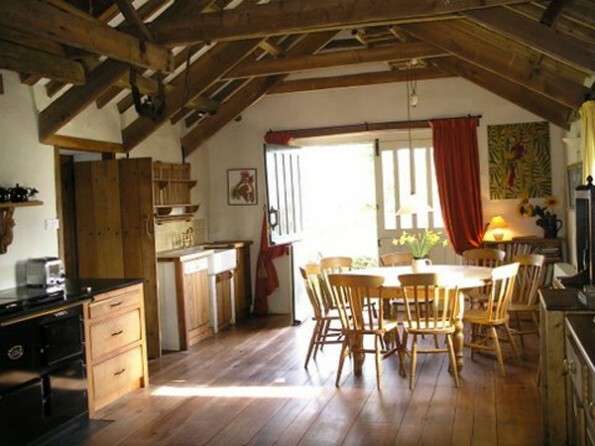 The Barn has full central heating, an electric ceramic hob, a combination microwave/oven/grill, an oil-fired Nobel cooker (similar to an Aga), a large fridge, a dishwasher, a washing machine, a television, a hi-fi unit and a telephone. Bed linen is provided (inclusive with the rent), as are electricity, oil and logs. Baby-sitting can be arranged and home-cooked meals can also be provided by prior arrangement (please see the website or enquire for more details). You can order food before you arrive if you wish. Waitrose will deliver here. When you are here you can have newspapers delivered. 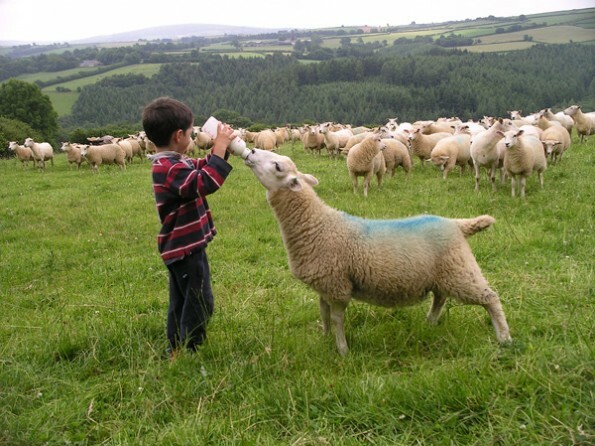 We can provide you with our eggs, our own apple juice, and we always have lamb in our freezer. 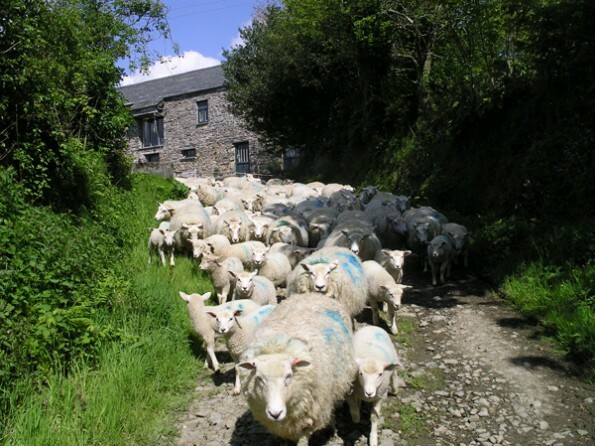 Please note that we do not permit smoking in the barn or farm out-buildings. Dogs are welcome provided they are kept strictly under control and are not allowed on the furniture. 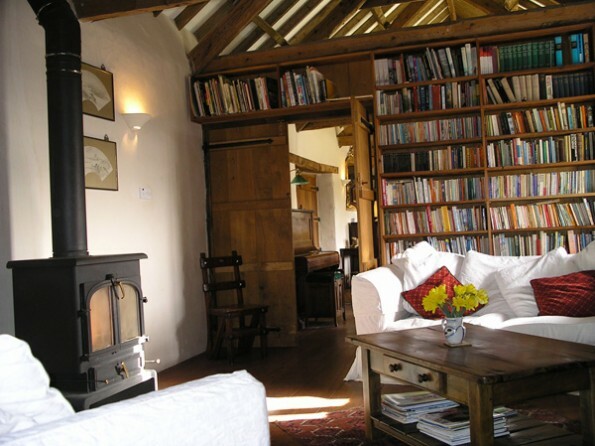 Our normal changeover day is a Friday, but we are very flexible out of season or for last minute bookings.